Clinton, Miss. – A man who killed four people during a hostage situation inside a Mississippi home has died at a hospital, authorities said Sunday. Mississippi Public Safety Department spokesman Capt. John Poulos said the suspect was shot during the 12-hour standoff at a home in Clinton. The standoff started around 2:30 pm Saturday said officers on a domestic call at the house were fired on, officials said. The suspect went back inside and refused to come out. Clinton City spokesman Mark Jones said that people were found dead in the home when the standoff ended. One witness described the scene outside the home as a war zone. 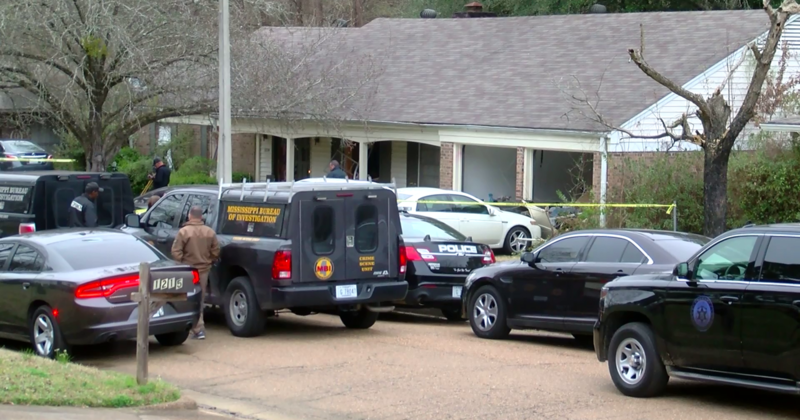 More than 50 police vehicles and a SWAT team surrounded the residence as the situation unfolded, CBS Jackson affiliate WJTV reported. TV footage showing two children released from home during the standoff and a barrage of gunfire not long before it was over. The names of the people killed or the suspect have not yet been released.